EPF (Employees Provident Fund) scheme is a retirement savings scheme for employees across India. In this scheme, a small portion of your salary is deducted from your salary account to your EPF account. Over a time it grows into a corpus which can be handy at the time of the emergencies. Earlier if an employee switches their jobs they had to open a new EPF account with the company and submit an application to the new company to transfer the previous balance in new account. And as this was very inconvenient especially when one had to switch job frequently, the employees either used to avoid the whole process or withdraw their EPF account. However, with the new initiative taken by the EPFO (Employees Provident Fund Organization), your EPF account will be automatically transferred in case you switch your job. Hence, it becomes easy and very convenient for people who change their jobs frequently. This was communicated by the Central Provident Fund Commissioner in an order stating the revision of the transfer procedure. In case your Aadhaar number is not linked with your PF account or with UAN (Universal Account Number) or the verification is still pending with the previous employer, you have to go with the offline procedure, as online procedure is not available in such cases. For offline process of EPF accumulation, you have to get Form 13 (you can get it from your employer or you can download it by clicking here) fill the form properly and submit it to your new employee. Followed by the employer who is required to forward this application to EPFO office and PF will transferred in due course. Also note, in the offline transfer the attestation of both the previous and the new employer is required. In an online process, an employee is required to fill up the Composite Declaration Form (F – 11 Click here to download) with the details about their previous PF account and UAN, when they join a new company and submit it to their new employer. 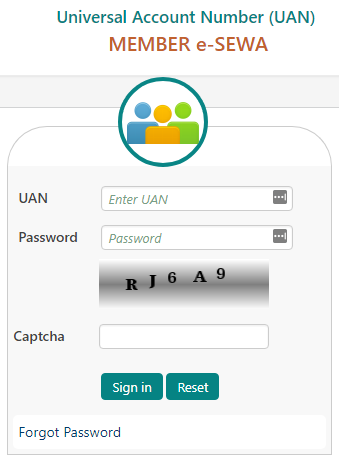 In case the UAN and PF account is linked with your Aadhaar number it will proceed with auto – transfer process. Once done, an SMS will be sent on employees mobile phone number informing the same. Check Here – How to link Aadhaar with EPF Account.